Celebrated designer Mariette Himes Gomez believes that a house becomes a home only when it is infused with personal touches, when its individual parts flow together logically, and when it assumes a warm and welcoming character. 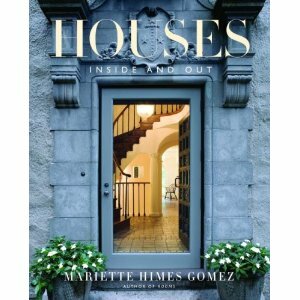 In Houses, Gomez begins by inviting readers to consider the many elements that unify a house. She reveals how each detail—from the doors, fireplaces, and staircase, to the more conceptual elements of balance, color, and movement—contribute to the home’s overall aesthetic, and how each can be combined to create a certain effect. She provides practical guidelines for building, buying, or renovating to create the perfect home, while illustrating how to instill flow and harmony in your overall design. Subscribing to the philosophy that less is more, Gomez reveals how to create homes of unparalleled beauty and grace. Complementing Gomez’s invaluable advice are stunning photographs of the interiors, exteriors, and details of breathtaking houses in a variety of gorgeous settings. An inspirational guide for every design-minded home buyer, builder, or renovator, Houses illuminates the world of possibility that opens up when you create your own home. Interior designer Mariette Himes Gomez has been at the forefront of her profession for more than twenty-five years. In 1975, she opened her own Manhattan firm, Gomez Associates, which is known for very livable rooms with clean lines and clear architectural definition. She was named one of the House Beautiful Giants of Design in 2004 and honored as a Dean of American Design by Architectural Digest in 2005. Gomez’s work has been published in Architectural Digest, House Beautiful, the New York Times, and Town & Country. Her line of furniture, the Mariette Himes Gomez Collection for the Hickory Chair Company, is available in stores throughout the country and in her own store, The Shop, in New York City. The author of the bestselling Rooms and Houses, she lives in New York City and on Long Island, New York.